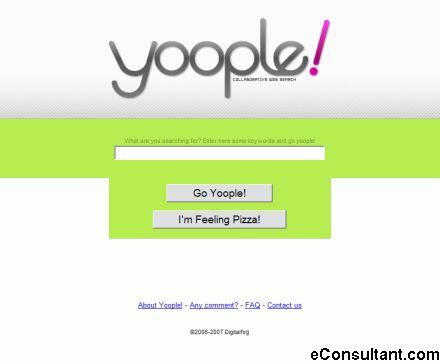 Description : Yoople! is web search site that gives you the chance to modify the results page and share your changes with everybody. You just perform a search, sort (drag&drop) results in the way you prefer and later searches for the same term will be affected by your changes. Results of yoople searches won’t be just returned from a machine but also from the collaboration of the people.